Can I just stay at home and eat? What is your ideal Christmas gift? Who is your favourite Watterson? You are full of positive energy driving you forward even when the results of your enthusiasm backfire, which is... always. Whatever your best friend is up to, you are in too! And although we can bet on your loyalty, we can't really bet that you actually know what's going on. You might be young but you already look after your siblings and... your dad. That's because, despite your cuteness, you have the biggest brain in the family. You are highly emotional, naive and lovable. And work is not really your thing, you are more a playing-video-games-watching-TV-and-eating kind of person. You are responsible and protective, always looking after your family and friends, as well as keeping everyone on track. 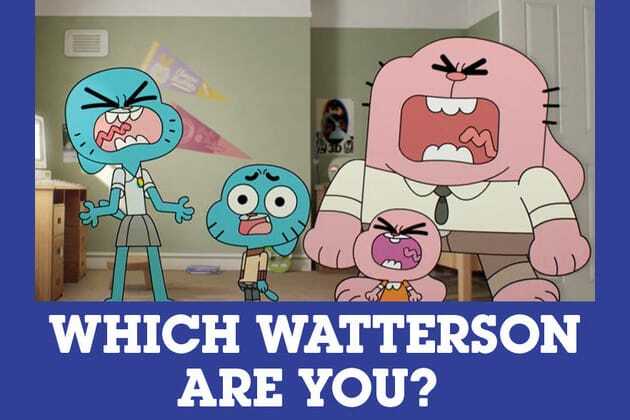 If you were part of the Watterson family, which one of them would you be? Find out now!